Rumi Express is the junior counterpart to Rumi, a higher priced middle eastern restaurant on Hutchison. Short and sweet: Rumi Express is a no frills, quick service spot that seems to serve the St Laurent main lunch crowd. I stopped in for lunch and shared a plate of falafel with a friend along with a Chicken Shawarma sandwich and a Beef Kefta Sandwich. The Falafel was hot and cripsy when served. If it wasn’t freshly made then they certainly fooled me into thinking it was. 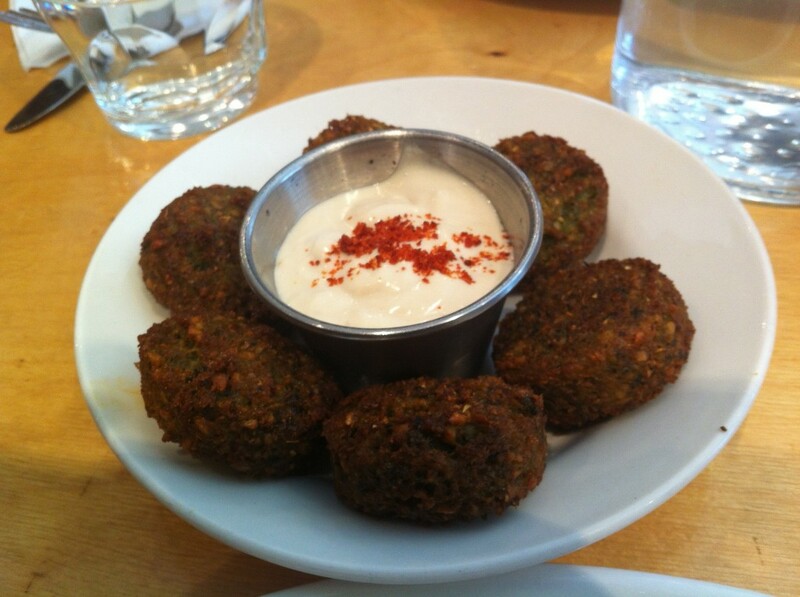 Great taste – nothing worse than a stale falafel. The Chicken Shawarma was good but extremely heavy on garlic. I LOVE garlic but even this was a bit much considering I was heading back to work. The beef kefta was good as well but we both preferred the Chicken Shawarma. Service was quick enough (we were in and out in less than 40 mins) and the price was definitely reasonable. Lots of lunchtime competition in this area – but I would recommend Rumi Express over the fast food shawarma joints any day. Tags: Falafel, Lunch, Middle Eastern, Montreal, Shawarma, St. Laurent.